Comments: Scott Russell Hayes (Nee: ) | Croton-on-Hudson NY USA | 1851-1900 | Comments: Scott Hayes died May 6, 1923 at Croton-on-Hudson, N.Y. He was born Feb 8, 1871 at Columbus Ohio and was the son if Rutherford B. Hayes , Nineteeth Presiden of the United States and Lucy Webb Hayes. He entered Cornell in 1888, remining two years . The death of his mother compelled his return to Fremont and securing employment there he started his business career with the First National Bank of Fremont Ohio . 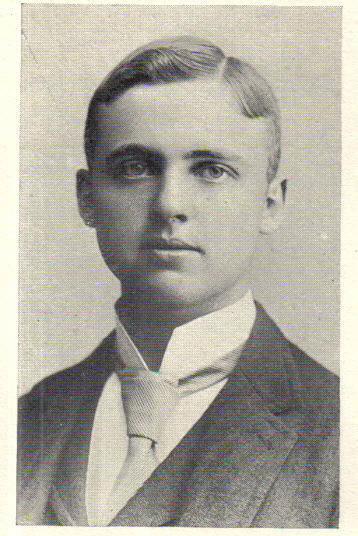 In 1910 he became Vice President of the Railway Steel Spring Co. At the time of his death he was connected to the New York Airbrake Co. Three of his brothers and three of his nephews also attended Cornell. This is the 33rd Year Reunion Yearbook of the Class of 1892 Cornell University Ithaca, NY. To see all the records posted click below. The Archive does not have any information beyond what is mentioned in the record. Only photo entries of the yearbook have been posted. If you would like to leave a Note in this record contact webmaster@deadfred.com place in the subject line "1892 Cornell - Note"